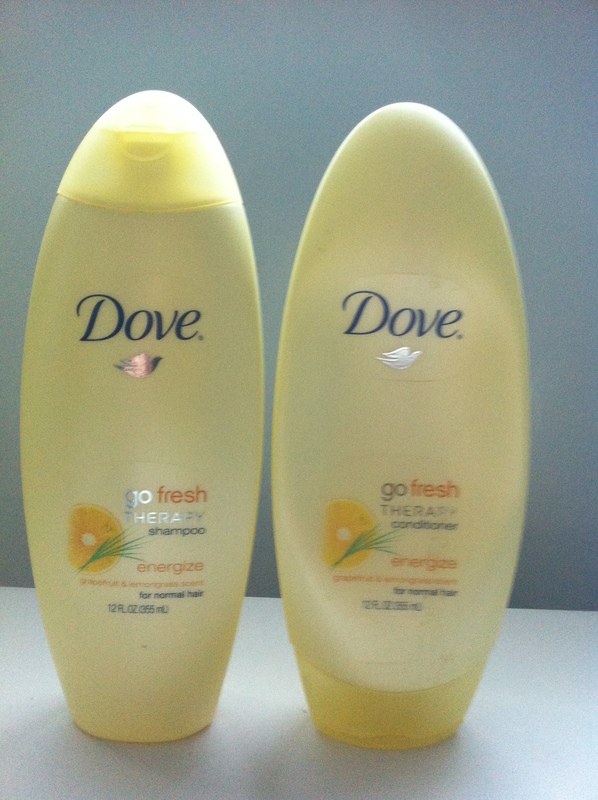 Move over L’Occitane Verbena (which I’ve reviewed here), I’ve found a new favorite clean, refreshing, uplifting scent from the Dove Go Fresh Energizing Line in grapefruit and lemongrass. 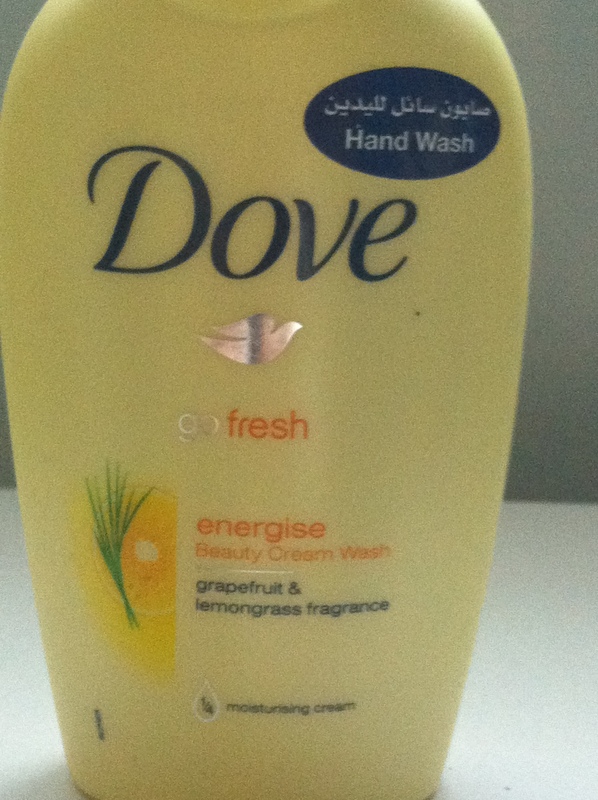 From now on, I’ll be sure to snap up anything that has lemongrass in it because I simply love that scent and apparently I really enjoy grapefruit-scented products (like the one I’ve reviewed here). I didn’t notice any difference in the texture of my hair after using the shampoo and conditioner but then again I never do. 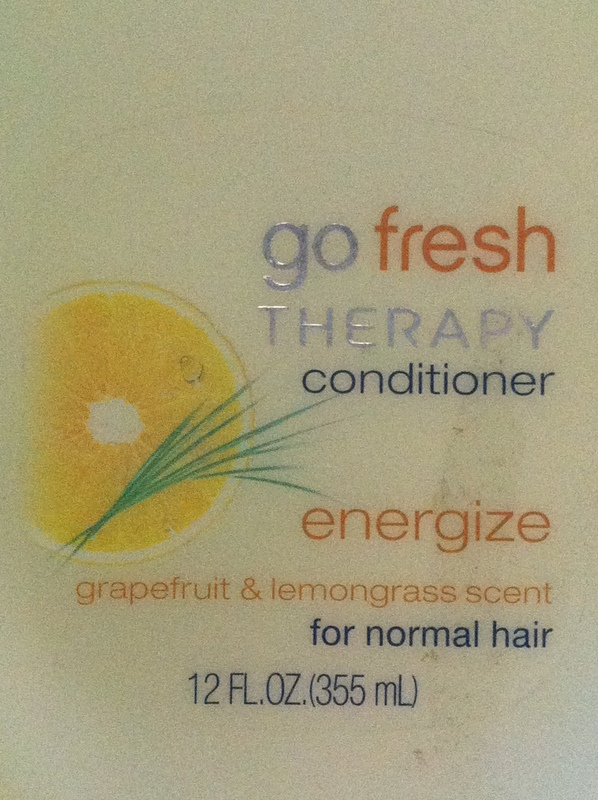 The scent does make my hair smell lovely though (yes, I have to tendency to sniff my own hair, issues.) especially when there’s a light breeze. 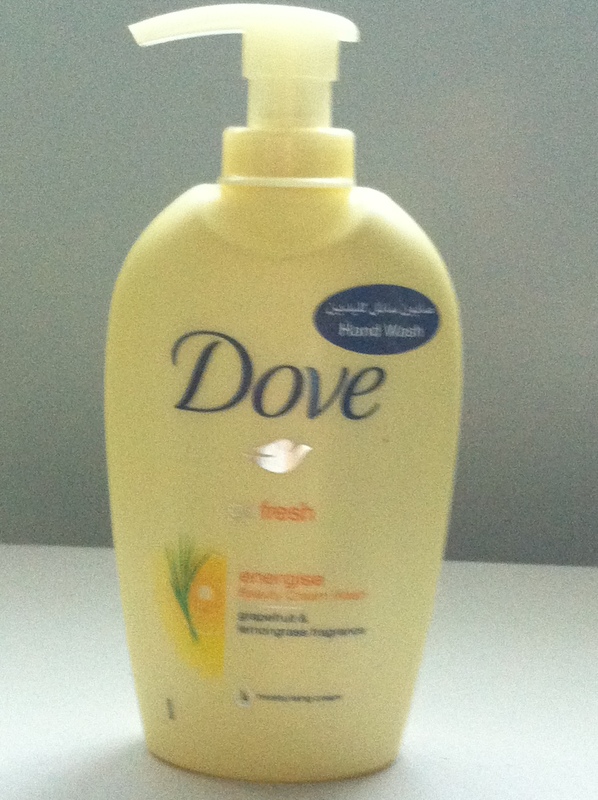 After using this, my husband complimented me on the scent of my hair so that automatically makes this a keeper. 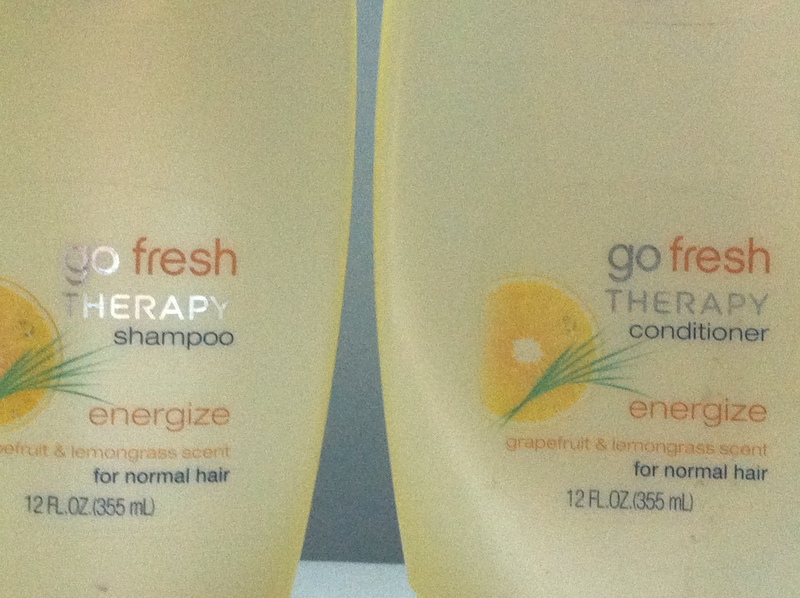 Even though I shampoo my hair twice and only use conditioner once, I ran out of the conditioner first as per usual. Some close-ups because why not? I removed the price sticker on this thing which is why it looks kinda’ ratchet. I love love love using the beauty cream wash (umm… it’s just a hand wash but ok) especially during our Kuwaity Summers (when the water can get quite hot) because this delightful grapefruit & lemongrass scent drifts up and creates a sort of scent bubble around the bathroom sink. I just can’t get enough of this scent! Another close-up so you know what to look for if you wanna go out and get this for yourselves. It does leave a thin film on your hands. If that annoys you, consider yourselves warned. 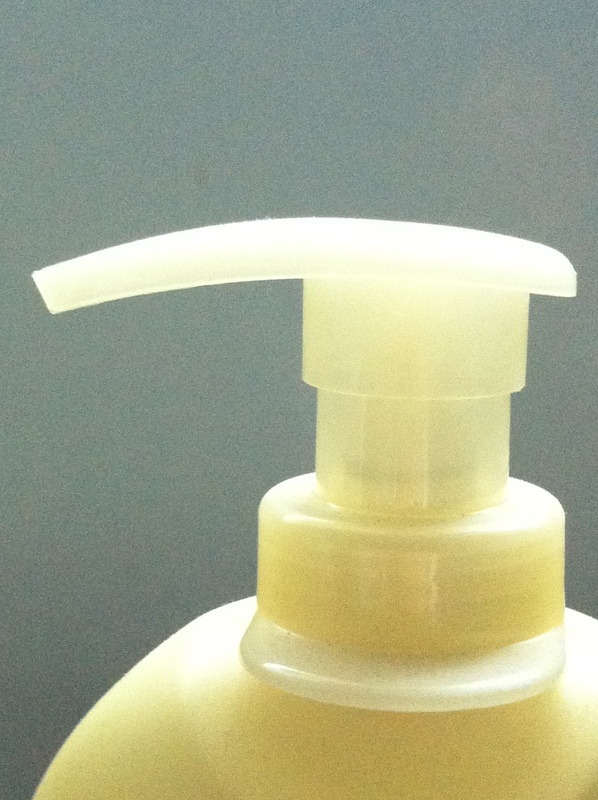 If you have dry hands or are constantly washing your hands, then this is for you. I also like that this comes with a pump dispenser. Finally, the anti-antiperspirant deodorants. One is a twist-up stick, and the other is roll-on. 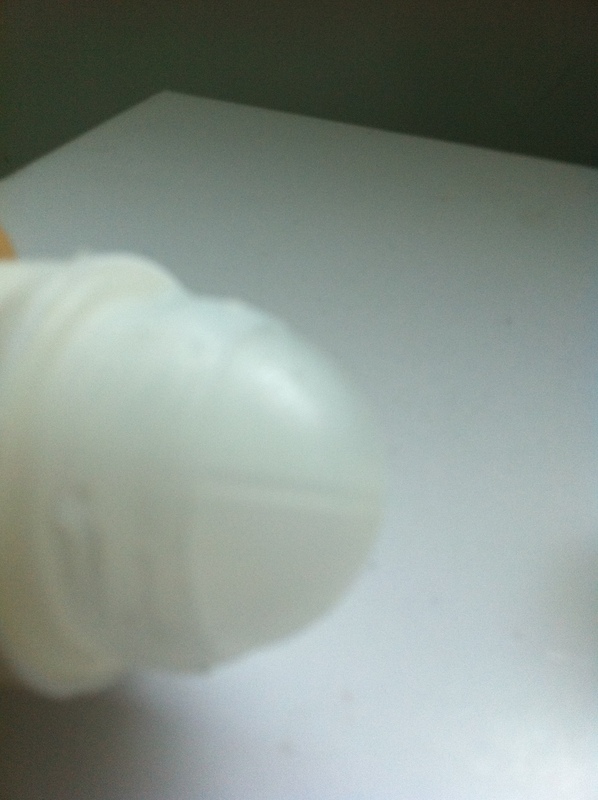 This is what the twist-up anti-perspirant deodorant looks like. And out pops the deo bar. Don’t get skeeved out. This hasn’t been used before. 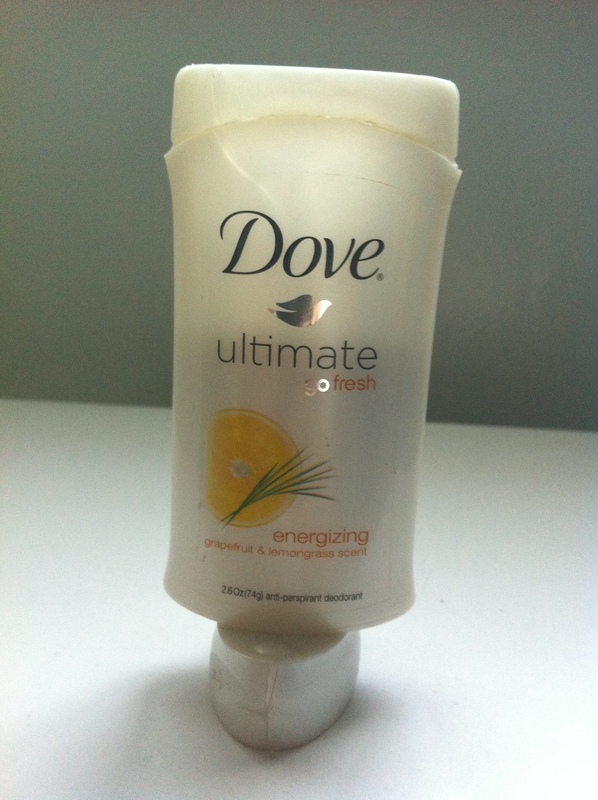 It’s just that although this is a solid deodorant, the deo bar has a softer consistency which makes it prone to crumbling and creating a mess. Regardless of what it says on the stick, this does transfer onto your clothes (unless you barely swipe it on, in which case what’s the point of using this?). 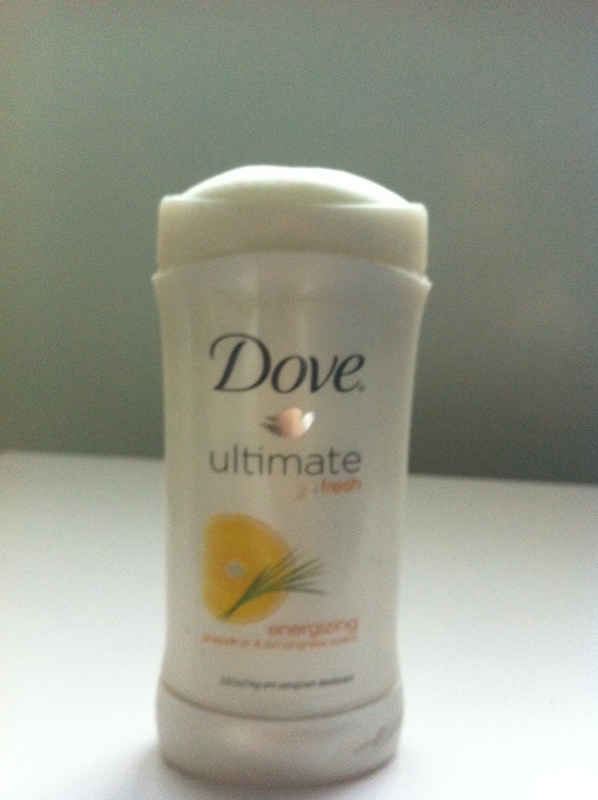 This deodorant has a liquid consistency and is my favorite of the two because although it takes longer to apply (actually it takes 2 seconds to apply but you have to wait for it to dry before getting dressed) it’s actually the less messier of the two. Also, how cute is that packaging? As I said before, this is a roll-on so you just er… roll it on. 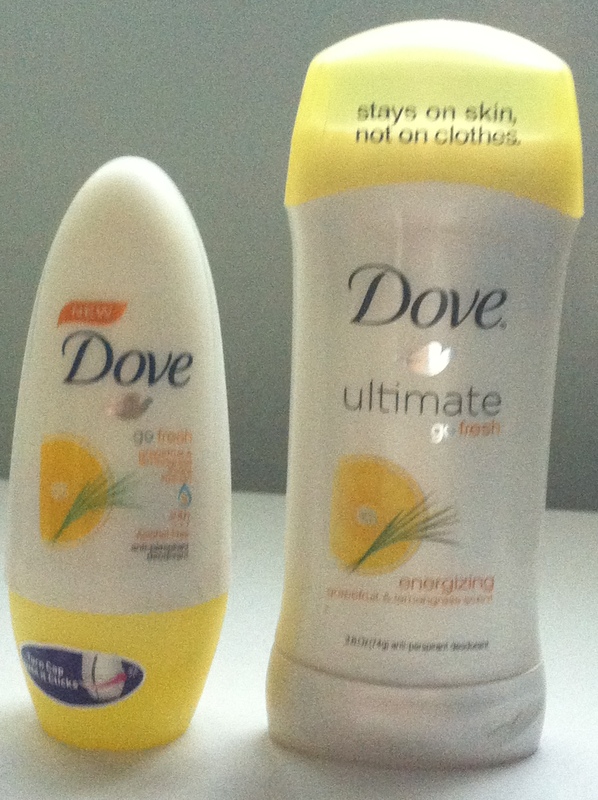 Both deodorants are sensitive enough for use on freshly shaved or waxed under-arms as opposed to other deodorants that tend to burn irritated or sensitive skin. If you’re headed to the gym or do a lot of housework or are generally a sweaty person, I recommend the twist-up version. 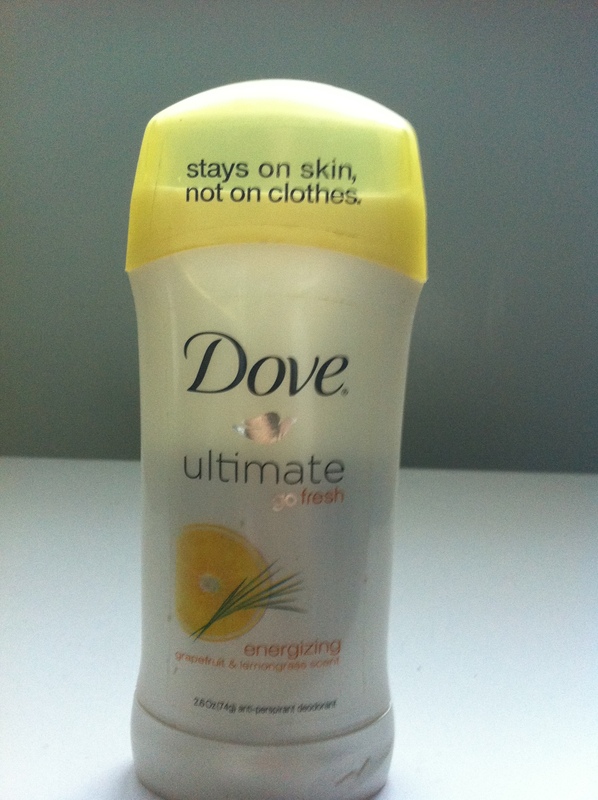 Personally, I prefer to use the roll-on version as I loathe sweating so it’s not really a problem in my case. The scent on both of these is absolutely heavenly! People compliment me on my perfume when I’m not even wearing any perfume. 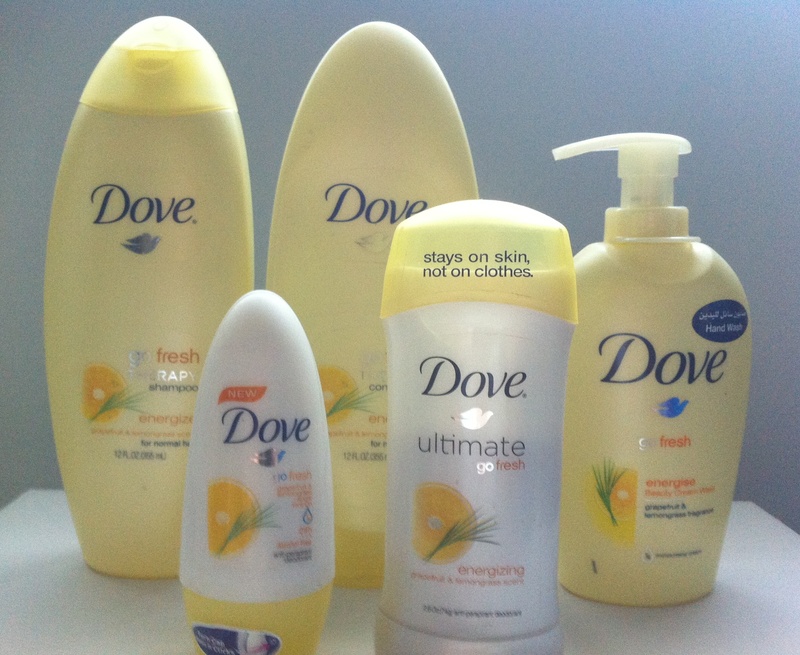 One of my cousins refused to believe that it was my deodorant, at first, until she went out, purchased her own, and tried it. Soon after, she called me up to tell me that her co-workers were asking her about her wonderful new perfume. I don’t want you to think that the scent is over-powering in any way just because people think you are wearing perfume. It’s a light clean soapy yet citrus-y uplifting refreshing (or if you go by what it says on the packaging, energizing) scent. I don’t know how else to describe it. 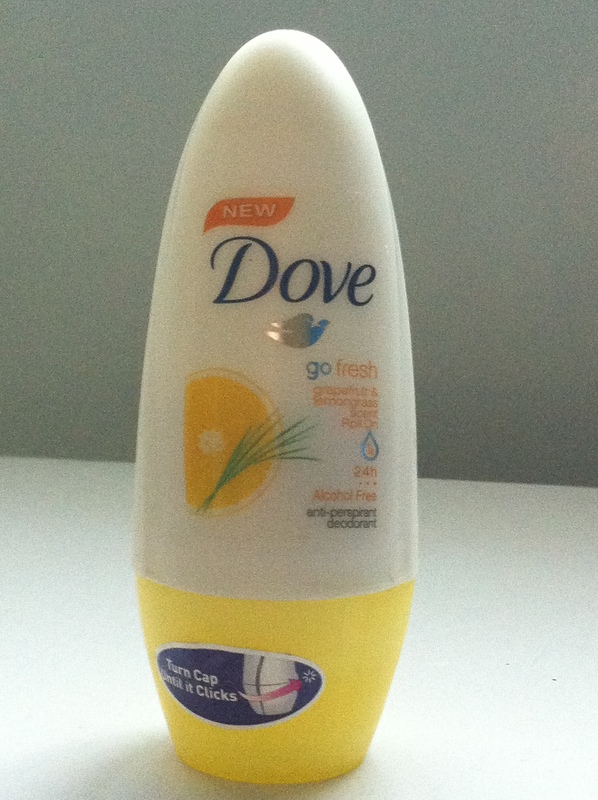 If you find any products from the Dove Go Fresh Energizing Line in the scent grapefruit and lemongrass, just give it a sniff. You might fall in love, like I did. Found at any local co-op (ja3miyah, supermarket, drugstore) this is not an exact dupe for L’Occitane’s Verbena Line but honestly it smells a lot nicer and as an added bonus, it’s a lot kinder to your wallet.